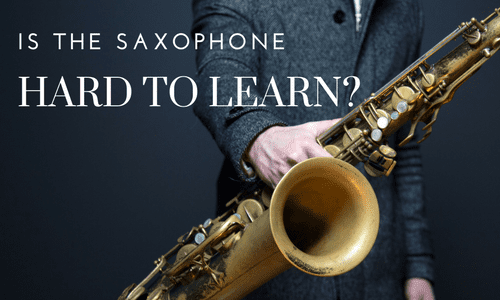 College Grove, TN Saxophone Lessons Near Me | Fun Classes. Top Teachers. I encourage all my students to enjoy exploring the sound of the saxophone and to find their voice on the instrument. Lessons include everything from reading and basic stylistic concepts, to improvisation, playing along with recordings of your favorite players, and transcription. I am a graduate of the University of North Texas Jazz Studies program and have over 15 years of teaching experience. I am also very diligent in teaching sound production, embouchure, and tone. I specialize in prepping saxophonists for high school and college auditions. Many of my high school students have participated in San Diego Honor Band and San Diego Youth Symphony and received top honors. I also offer full-service recording services and can help guide you through the college audition process. I love working with brand new beginners all the way seasoned players who might be prepping for music college. I like to keep an fun atmosphere around the lesson and try to find out what drives my students. We'll work through pieces from school and expand into topics such as improvisation, reading, music theory, and finding inspiration from great players. I have a jazz background, and love working with aspiring jazz musicians as well. I hold a bachelors degree in Music Education. I have just completed my Masters in Music Education degree and am eager to build up a woodwind studio again! Clarinet is my primary instrument and can teach beginning, intermediate and advanced students. I also can teach beginning and intermediate sax and flute. I strive to create experiences with my students where instant success is being achieved in each lesson. I love to incorporate fun and variation in my teaching, no two lessons are the same!! Its never to late to begin learning an instrument, all ages and abilities are welcome! Youth Symphony of Southern Oregon, Cascade Clarinet Consort, Wind Ensemble, Jazz Band and Chamber Choir during her undergraduate career. She also taught two students privately throughout her undergrad. Stephanie auditioned for and received the Southern Oregon University Solo Concerto Competition in 2016. She has just finished her Masters in Music Education degree at the University of the Pacific in Stockton, California with a 3.95/4.0 GPA. She has attended numerous music education conferences including CASMEC, Bay Section and Midwest International Band and Orchestra Conference. She presented research a research study at CASMEC in 2017. She has recently relocated to Tacoma WA. Stephanie will be teaching public school music in Des Moines, WA for the 2018-2019 school year. She loves to spend time outdoors and has a sweet kitten named Addie too! Stephanie was just fabulous, introducing my grandson to the saxophone. She was very nurturing and encouraging, yet gave me tons of information. I highly recommend her. Teaching not only requires technical expertise, but it also requires kindness and thoughtfulness. Stephanie is a master at all these things, and learning from her is a genuinely awesome experience. Ms. Kuborssy sure does know her stuff when it comes to music! She's not only professional and talented but also a great teacher. She's very patient with beginners but also knows how to push those that really have the potential to do something great. If you have a chance, definitely study with Ms. K!!! "David was very positive, accessible and knowledgeable." Dave is very helpful and patient when it comes to teaching. He is certainly my best,and favorite teacher." ence with the saxophone but a clear picture of what I wanted to play and somewhat how I wanted to sound. Dave has a great set-up where we have privacy to make noise (sax's aren't known for being quiet). He's able to pluck things out on the piano quickly or to pull something up on the computer or just play. I went from starting out, to wanting to play a few songs, to improvising. Dave has been very helpful and ultimately keeps me improving and moving forward. I've taken other lessons on other instruments, but I will say this is one of the better teachers I have had. He listens well and is able to articulate what he wants you to do --- not trying to be a guru, but more of a guide that keeps you on track."